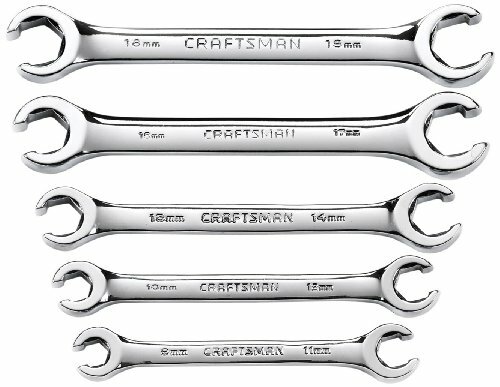 Built for working on cars, appliances and around the house, this Craftsman 5-piece flare nut wrench set metric is indispensable. Built for working on brake, steering and refrigeration lines, it also comes in handy for mountain bike suspensions and other bicycle repairs. The Craftsman 5-piece flare nut wrench set metric works on a variety of hexagonal fittings, from aluminum and copper to brass. It also features a traditional wide profile for greater leverage. These alloy steel wrenches also come in a handy storage case.